ABC audits show photography magazines are in general decline, however some are bucking the trend. The latest The Audit Bureau of Circulation (ABC) figures (Jan - Dec 2012) show six of the photography titles audited have seen a decline in readership of between 1.6 and 22.4%. However, whilst most paper-based photographic magazines have seen a decline, ePHOTOzine continues going from strength to strength with a staggering 66% increase in traffic with the latest ABC. This means the site has almost now reached an amazing 1.6 million unique visitors every month! Only three magazines showed growth - Digital SLR Photography, Digital Camera Magazine and the Canon specialist title Photo Plus. Digital SLR Photography, edited by Dan Lezano, had the highest growth of +3%. Dan Lezano, editor, Digital SLR Photography said: "We’re very pleased to have announced another ABC increase for Digital SLR Photography, especially when the photo magazine market is saturated with so many titles. We’ve increased our sales every year since we launched and this is our fourth consecutive ABC increase. Overtaking Bauer’s Practical Photography, which until recently was the market-leader, is particularly satisfying and while being number 3 in the market is a great achievement, we have set our sights higher and have already planned changes to the magazine that we think will further boost its appeal and success. The magazine’s achievement is mainly due to the team being so passionate about photography – this is more than a job for all of us and being able to inspire our readers is highly rewarding." Photo Plus reported a growth of 0.3% and readership levels of 29,066 while Digital Camera Magazine, edited by Geoff Harris, showed the highest net total readership figures of 45,814. Commenting on the magazine's success, Geoff Harris said: "It's taken us a decade to do it, but I'm delighted that Digital Camera is now the UK's best selling photography magazine (print and digital). It's a tribute to the team's talent and hard work, and shows that readers in a saturated market still really appreciate editorial quality and great photography." The digital version of Digital Camera Magazine has also sold 6,354 digital editions in this ABC period and has shown a growth of 149% over the last year. The magazines in decline (based on net totals) include Bauer's Practical Photography and Digital Photo, IPC's Amateur Photographer and What Digital Camera, Imagine's Digital Photographer and Archant's Photography Monthly. According to ABC, Digital Photo, edited by Jon Adams, did report the highest UK readership figures of 30,390. Commenting on the results, Jon Adams said: "We are pleased to see Digital Photo retain its number one position as the biggest-selling photography magazine in the UK. Following an extensive makeover from our January 2013 issue with an increased focus on camera skills and extra gifts for our readers, we believe our value for money offering is better than ever. Our sales since revamping the magazine have been encouraging, so it's great to see photographers are enjoying the best-selling photography magazine in the UK. 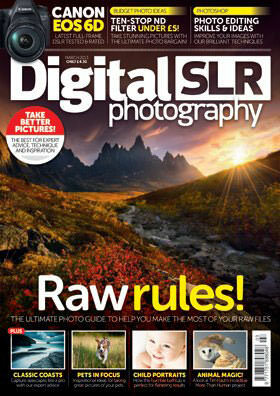 2013 will be an exciting year for Digital Photo as we continue to innovate, evolve and perfect our magazine with our readers' needs at the forefront of our minds." ABC figures for two other specialist magazines have also been announced with N-Photo reporting readership figures of 25,011 and Practical Photoshop reporting a result of 10,600 (print and digital sales net total). The editor of N-Photo, Chris George, said: "We are delighted that N-Photo has proved so successful with Nikon photographers in its first full year on the shelves. We launched the first brand-specific monthly photo magazine five years ago with the Canon-centric PhotoPlus, which continues to sell well in the UK. N-Photo brings all the values of PhotoPlus but gives them a neat Nikon twist. The success of PhotoPlus, and now N-Photo, is not really about being niche – it is more about producing content that digital SLR photographers want. We don't just appeal to the tribal loyalty that a Nikon user has to their camera brand, N-Photo offers the hands-on step-by-step advice they need to get the most out of their increasingly-complex DSLRs." ePHOTOzine congratulates the titles who bucked the trend in these tough times. One wonders what their future is with the demise of a major advertiser like Jessops. Is there anyone else that could have as much advertising as Jessops used to have ? One wonders what their future is with the demise of a major advertiser like Jessops. Is there anyone else that could have as much advertising as Jessops used to have ? I took up photography 5 years ago and learnt everything from photography magazines, I have hundreds in the attic! (Got a bit obsessed) the problem now is that I could pick up one of these magazines from 5 years ago and read the same tequnique tutorial / editing tutorial or a similar story from a pro photographer, granted with a slightly older gear. Nothing has drastically changed, Yeah the gear reviws are good, but you can get all that off the internet now. The only magazine I buy now is The British Journal of Photography. Oh and another thing, (not wanting to rant on) I always wonder how sales do when a magazine is wrapped in a plastic cover, not allowing you to have quick flick through before you buy. I took up photography 5 years ago and learnt everything from photography magazines, I have hundreds in the attic! (Got a bit obsessed) the problem now is that I could pick up one of these magazines from 5 years ago and read the same tequnique tutorial / editing tutorial or a similar story from a pro photographer, granted with a slightly older gear. Nothing has drastically changed, Yeah the gear reviws are good, but you can get all that off the internet now. The only magazine I buy now is The British Journal of Photography. Oh and another thing, (not wanting to rant on) I always wonder how sales do when a magazine is wrapped in a plastic cover, not allowing you to have quick flick through before you buy. Not suprised they are in decline for the price they cost. Glad to see that some are still going strong, whilst I almost never read any of these general mags now they certainly helped develop my interest in photography and I learnt a good few ideas from them. I hope they stay around for years to come to help others into photography and for me to buy at a station if ever there are big commuting delays. Of course when their readers want more interaction and to hear more about other photographers ephotozine is there for them. Glad to see that some are still going strong, whilst I almost never read any of these general mags now they certainly helped develop my interest in photography and I learnt a good few ideas from them. I hope they stay around for years to come to help others into photography and for me to buy at a station if ever there are big commuting delays. Of course when their readers want more interaction and to hear more about other photographers ephotozine is there for them.